This year the Kirkcudbright county championship was played at Dalbeattie Golf Club where 32 of the best golfers competed for the scratch trophy. The weather was sunny and warm and the course in good condition. Winner of the stroke-play championship was local player Craig Smith, winning on countback from Douglas Borland (Southerness), both scoring 70. 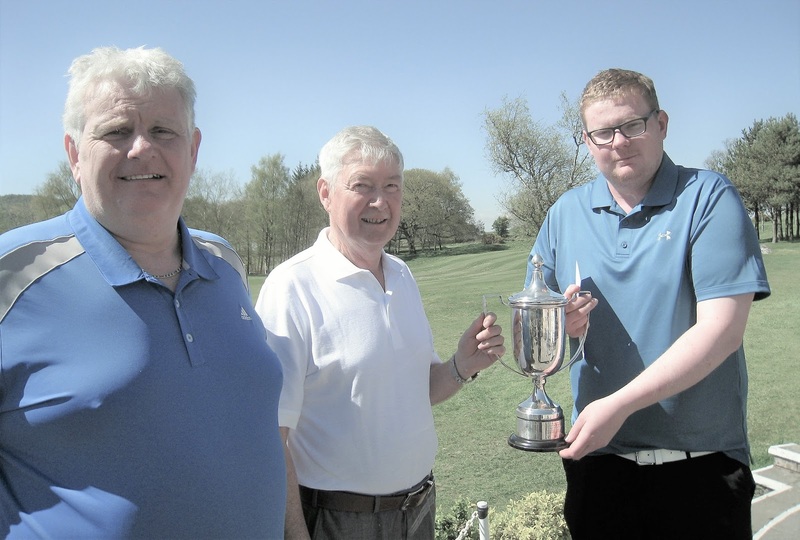 The handicap prize was won by Craig's father, Billy Smith who scored 74 less six for a net 68. Photograph shows Billy Smith (handicap winner), William Watson (President), Craig Smith (scratch winner) being presented with their prizes. Kirkcudbright (bye) , Castle Douglas, who defeated Dalbeattie 4.5 to 1.5, Southerness who defeated New Galloway 6-0: Gatehouse who defeated Brighouse Bay 5-1.